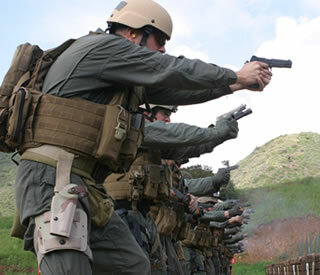 The course is open to men and women who have taken a Defensive Pistol Course or some other form of Tactical Pistol course. We will emphasize on pistol manipulation. Students will learn the process from draw to acquiring the target and post shooting process. During the course the students will have 1 full day of range time, focus more on shooting on the move, from behind cover and in the shoot house adding more realism to shooting encounters. 15 student limit.